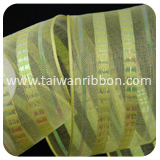 FRIEND CHIU CO., LTD strives for greater heights in quality, innovation, value, and customer satisfaction. 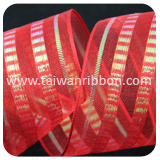 Our company is known as one of the leading manufacturers of Ribbon Supplier, Ribbon Vendor, Ribbon Factory and Wired Sheers in Taiwan since we established. Since our establishment, we have been dedicated to responsibility, credibility, and efficiency as our guiding principles. 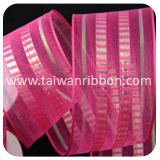 With an extensive product line of products, combined with our ability to design custom products, FRIEND CHIU CO., LTD is confident that we will provide the best Wired Sheer and Ribbon Supplier for our customers’ needs. 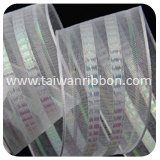 If you are looking for suppliers and long-term mutually beneficial partnership, we are ready to offer you our services.